Switch - 28-Port GB PoE+ Smart Switch with 4 SFP ports, 370W power budget; 24x PoE + 10/100/1000mb/sec; 4x SFP Auto-Negotiating ports; Port 1-24 802.3at to 30W; power saving function; Half-/Full-Duplex, auto-negotiation, Auto MDI/MDIX; IEEE 802.3x Flow Control; 802.3ad Link Aggregation; Asymmetric VLAN; Voice VLAN; Jumbo frame až 9,216B; Switching capacity 56 Gbps; 802.1p; 16K MAC address table; 256 static MAC entries; 64 static multicast addresses; MAC/IP filtering; 200 MAC/IP-based ACL rules (Port List); 802.1X port-base Access Control, Port Security; LLDP, LLDP-MED, Smart Binding, Traffic Segmentation; IPv6 configurations; D-Link Safeguard Engine; GUI Web based management, compact CLI; DNA bulk management tool; 19" Rackmount; IEEE 802.3az EEE"
The Cisco SLM2048 switch is equipped with 48 10/100/1000 ports and two SFP uplink combo ports. It provides the security and advanced network features needed to support enterprise management software for data, voice, security and wireless solutions. By optimising the energy consumption, CISCO helps to protect the environment and reduce energy costs without sacrificing performance. It's easy to set up and managed using intuitive web browser tools. The Cisco SLM2048 provides the ideal combination of affordability, performance, and switch functions that is designed specifically for small businesses. Manageability (Smart Switch, Web Manageable), QoS (Quality of Service), VLAN (Virtual Local Area Network), L2 Done! 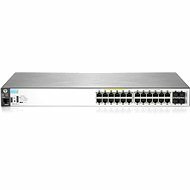 For shipping to other EU countries visit this page CISCO SLM2048. Für Versand nach Deutschland, besuchen Sie bitte CISCO SLM2048T-EU. Chcete doručit zboží do Česka? 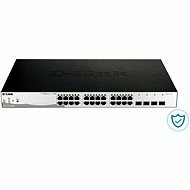 Prohlédněte si CISCO SLM2048T-EU. Chcete doručiť tovar na Slovensko? 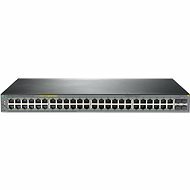 Prezrite si CISCO SLM2048T-EU. Für Versand nach Österreich, besuchen Sie bitte CISCO SLM2048T-EU. Magyarországra történő kiszállításért tekintse meg ezt a termékoldalt: CISCO SLM2048T-EU.